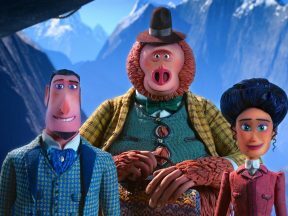 Last Thursday at the Four Seasons Hotel in New York City, Laika president and CEO Travis Knight revealed future plans for his Portland-based stop motion studio. 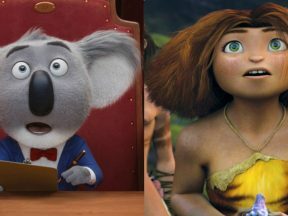 Knight, who directed the studio’s newly released Kubo and the Two Strings, explained during a conversation with filmmaker and historian John Canemaker that Laika is not only ramping up feature film production, but will begin to explore a broader ranger of subject matter than the studio’s first four feature films, which have all featured child protagonists. John Canemaker: You’ve said Kubo is a final culmination of the four features you’ve done that focus on childhood. Where are you and Laika going next? Travis Knight: Adulthood. This film is a good bye in a number of different ways. The themes that it deals with – loss and grief. But it also deals with healing, compassion, forgiveness and empathy. And so, it is, effectively, the end of this first cycle of films that we’ve done at the studio. The things we’ve got coming are completely different. Our next film does not feature a child protagonist. I don’t even know that there are any children in it at all. I wouldn’t say it’s adult-oriented. But it’s a different kind of a film for us. It’s still intended for families, but it’s a different kind of a story. John Canemaker: Is it a genre film, like film noir or science fiction, or a western? Travis Knight: It’s a blend of things we haven’t really tackled before. We’ll probably announce before the end of the year. It’s really interesting aesthetically, tonally. Completely different from what we’ve done before. The thing that excites me is that I know that the handful of films we’ve got coming down the road and they’re so totally different from what we’ve done. The film following the next one, it’s just so unusual, so interesting. Travis Knight: Right now we’re on a cycle where films come out every two years. In large measure, that limitation is a function of space. Because, unlike CG, you need real estate, a place to build these sets, these puppets…On Kubo, this is the first time we were shooting two films concurrently. While finishing up on Kubo, we started our next production, so we’re shooting out shooting two films at once for the first time. You only have so much time on this planet. The way we make films, there’s only so many films you can do in that time that you have. And I want to tell so many different kinds of stories, in so many genres. So we have to figure out a way to overlap these productions. Ultimately, the goal is to be on an annual cycle – releasing a film every year. That’s where we want to be. We are a ways from that but we are shrinking the period between releases. 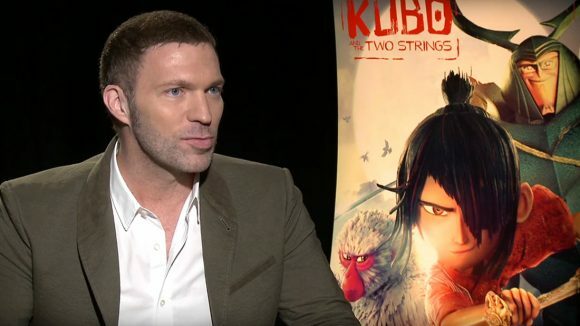 Travis Knight: I take a firm stand against sequels. My industry brethren are a little shocked at how firmly I’m committed to not doing sequels. Of course there are great sequels. Godfather II, The Empire Strikes Back. But I think if you look at where our industry is going, it’s dominated by franchises and brands, re-dos, re-makes, sequels and prequels, where all these old presents are re-wrapped and offered up as new gifts. The pendulum has gone so far in that one direction. We used to go to movies to see stories about ourselves. It would transport us to new worlds and we’d see aspects of ourselves reflected back. As TV has become more like movies, movies have become more like TV. It’s gone the other way. There are these serials, these continuing stories that are a regurgitation of the same things we’ve seen over and over again. And I have no interest in doing that. You know how hard it is to make these things. You put so much of yourselves into these movies. It does come at a cost. You give and give and give to these movies. If we’re going to do that, it needs to matter; it has to mean something. I don’t want to tell the same stories over and over again. The way we approach our stories is we imagine each film as if it’s the most meaningful experience of our protagonist’s life. If that’s your point of view, your sequel is automatically either going to be (A) a diminishment of that – is it the second most important experience of your protagonist’s life? Or, (B) you’ve got to crank up the volume so much, everything’s sensory overload, and becomes comical how much you have to ratchet it up to justify its existence. I’m not interested in that. I don’t want to do that. I want to tell new and original stories. Travis Knight: I hope within the fullness of time, before I shuffle off this mortal coil, I absolutely hope that we do a 2-D film. They’ve always been a part of what we’ve done. I guess I just have a fixation for moribund art forms. Because nobody is working meaningfully in 2-D feature films anymore. [S]ome of the most beautiful animation ever in existence was done in 2-D. As I was telling you earlier, that’s effectively how I learned to animate. By studying the great 2-D animation. It’s a real shame for me to see this beautiful art form that gets neglected, when you could still so beautifully tell a story. We just don’t see it done very often. I would love to take the same prism that we apply to stop motion—take what we love about this medium, and try to do find a way to do something new with it. In the fullness of time, I would absolutely love to do that.